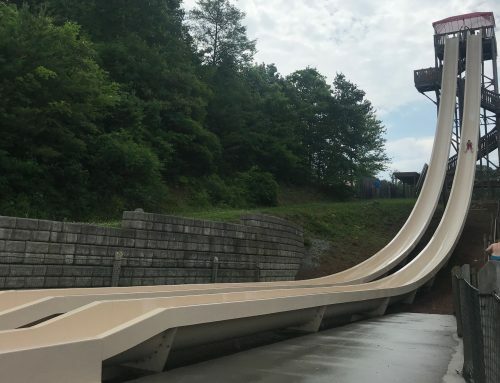 Dollywood’s Splash Country is home to sky-high water slides and thrills galore, of course. But do you know about all of the fun activities for the younger set? 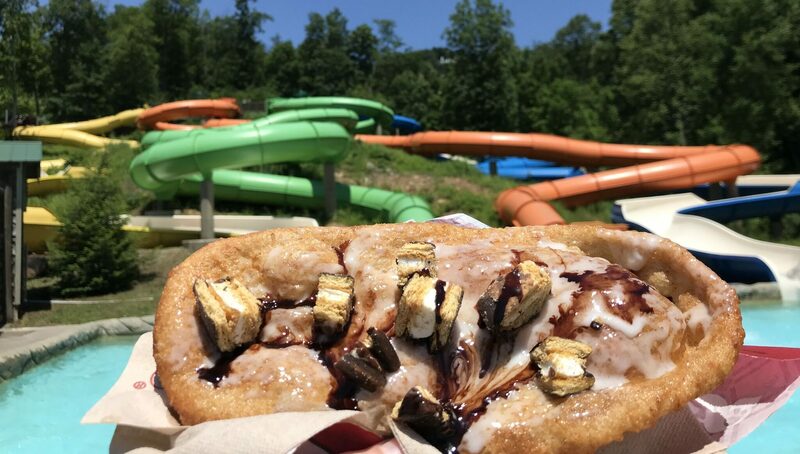 There are multiple play areas, family-friendly spots, kid-approved foods, and all of it sits under the watchful eye of the highest ranked lifeguards in the state. 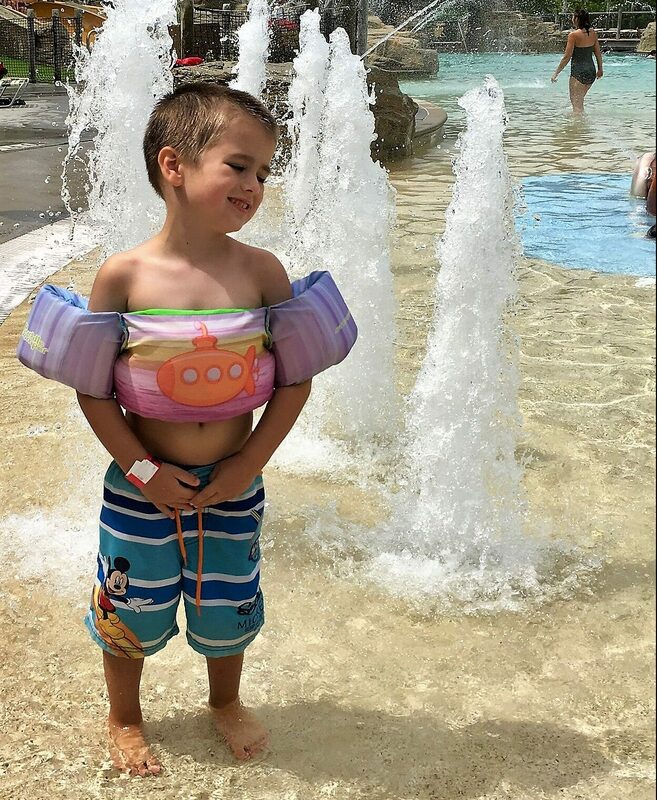 I hear it all the time from moms—a water park is a bit too much for younger kids. Let me tell you how we make it work for our family. My absolute favorite play area is The Cascades. 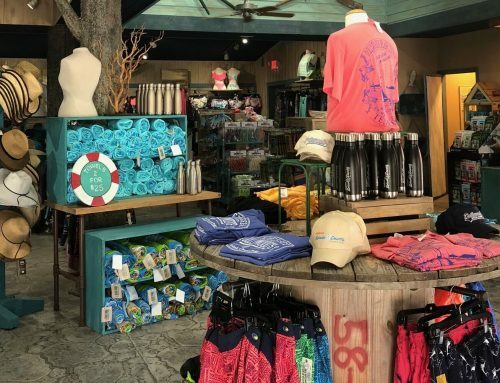 It’s is in the back of Dollywood’s Splash Country, tucked away amongst the towering trees that provide a nice bit of shade. The combination of its location, the trees, and the large size of the area make it feel less crowded on even the busiest day. There are plentiful chairs surrounding a lagoon-style pool and splash area combined. There’s an interactive water table with an educational cause and effect opportunity. 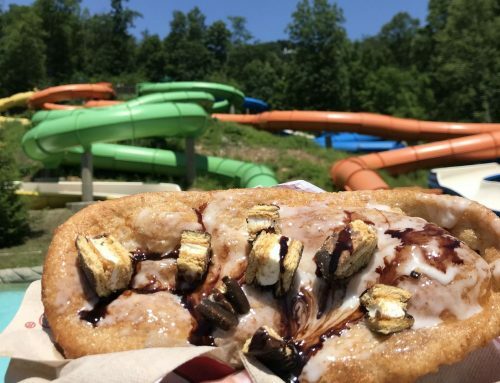 There are cute animals spouting water, a sunken ship to climb aboard, and a water slide you can go down with your kids (I’ve gone down with one kid on each side of me too many times to count!). A larger slide is a benefit for older kids that want to be near their younger siblings and friends, and still within eyesight of parents. This one area has more than 25 interactive elements! The bathrooms are just a short walk away from The Cascades, which is a must-know when in the company of the newly potty trained. Just down the way is Dogs N Taters, waiting to fill their tummies with an assortment of kid favorites, including corn dogs and chicken bites. 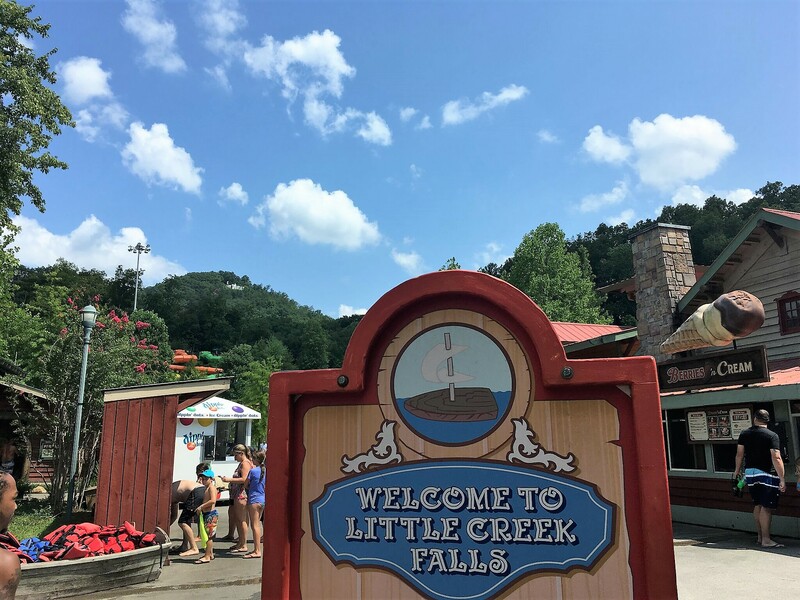 Little Creek Falls is another place built for our young friends. With giant butterflies providing shade, more interactive water features, and slides for the older toddlers, this is always a hit with my family. It’s right next to Berries N Cream, so you’re in a prime location for an afternoon snack, too. Mountain Waves is a wave pool my kids have always adored. We tend to stay in the shallower end, but they love feeling like they’re at the beach right here in East Tennessee! They can splash in the waves or we can hop on one of the many inner tubes sitting nearby and venture a little deeper. If you have small kids and bigger kids, Mountain Waves is a great place where both can have fun in clear sight. 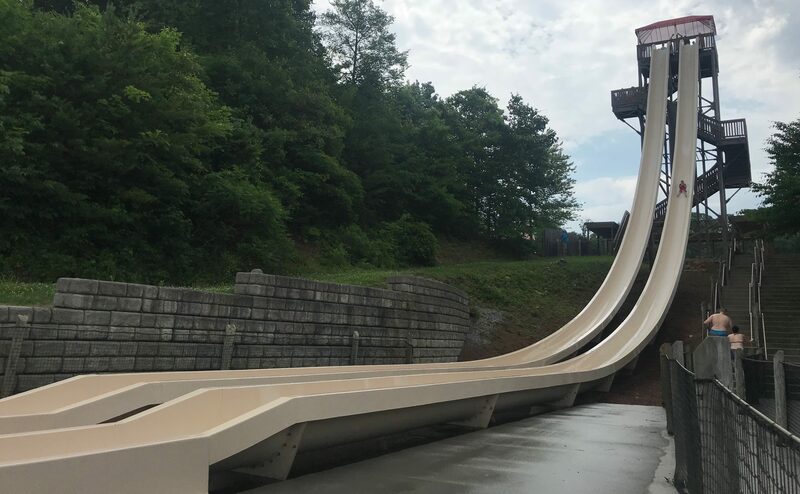 Toddlers 36” and taller can get their first big-kid thrills on Big Bear Plunge, Mountain Twist, and Raging River Rapids. 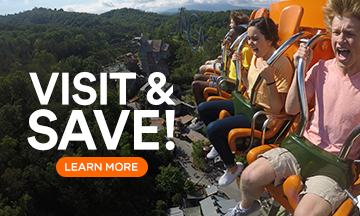 We do the family-style rides first to get them acquainted with the concept. There are so many entertaining activities here, it’s nice to be able to alternate playing in the splash areas with the bigger rides. Downbound Float Trip is a great way to wind down at the end of the day. 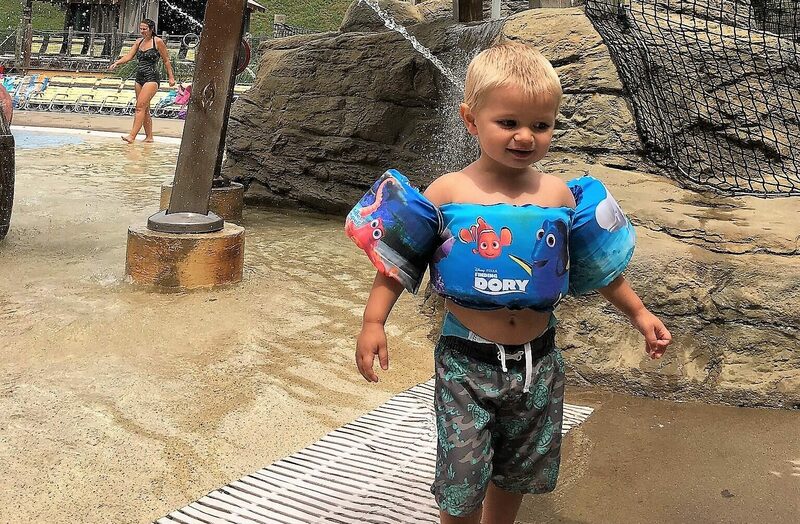 Floating gently along a lazy river in inner tubes, there’s plenty to see and a lovely way to recap the day with your little ones whether they’re riding on your lap or in their own tube. It’s also a good option during nap time; when my son was two, he even fell asleep on me while we floated! 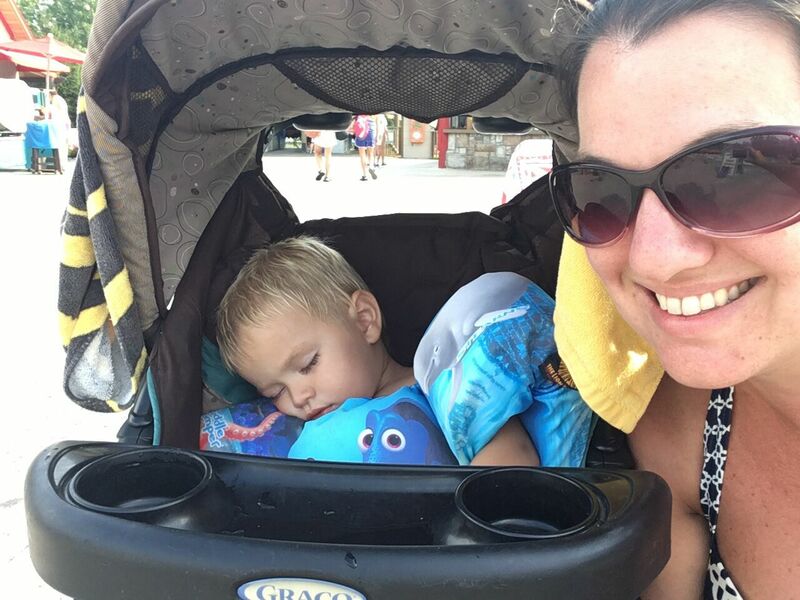 Bring your stroller with a built-in shade for the napping crew. 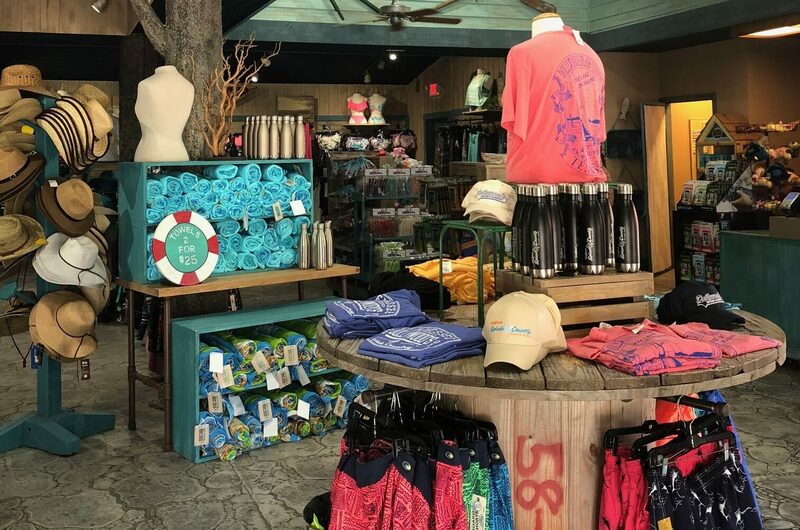 Splash Country is family-friendly as well as toddler-friendly. Family changing rooms make getting ready to play and head home a simple process. The numerous bathrooms spread throughout the park mean you’re never too far from one. The calming area is a must for families with sensory sensitivities. The Baby Care Centers are great for the smallest family members when they need a diaper change, some nursing time, or a cool place to enjoy their bottle without the hustle and bustle of the park. A glider, changing area, and sink are available. There’s also an outlet for moms who need to pump. A first aid station near Big Bear Plunge has medical personnel available, which puts my mama heart at ease. The lifeguards are a huge reason why I feel so comfortable with my littles here. They’re in the top 10% in the country and are the highest ranked in the state. They’re always training and being tested. Having gotten an Insider’s look at how they’re trained and how long they have to react, I’m glad they have their eyes on my kiddos, too. We’ve been going to Splash Country since our youngest was two months old. 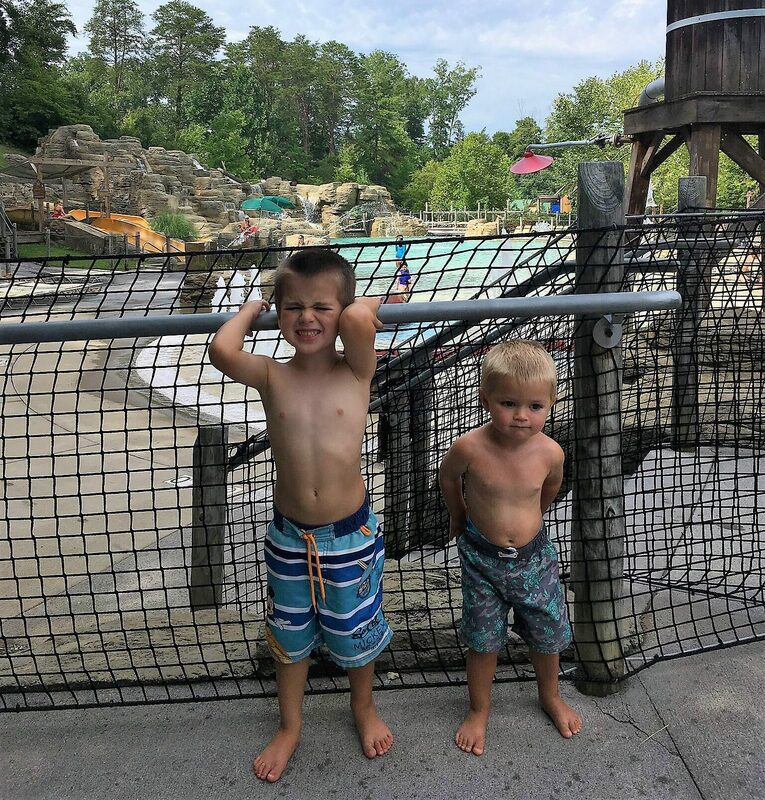 It never occurred to me to not take my little ones to Splash Country, because Dollywood is all about family; I knew they wouldn’t forget about the smallest swimmers.